This gluten-free vegan burger recipe is one of my all-time favorites. It’s easy to make, tastes amazing and holds up well in a pan, oven or grill! 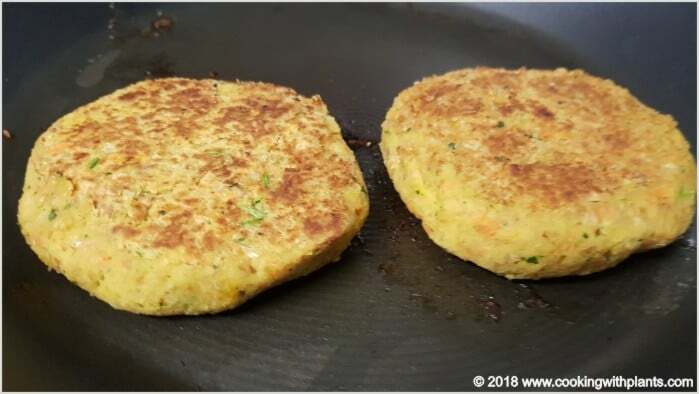 This is a super easy recipe to follow and make right at home in your kitchen… meat free, mouth watering and healthy. Enjoy! 1 Tbs Flaxmeal mixed with 3 tbs water, let sit for 5 to 10 minutes to make "flax egg"
Place all ingredients into your food processor and process for about 30 seconds. Push mixture off sides and process again for a minute or two until everything is well broken down and combined. Remove blade fro processor and shape your patties. This makes 4 large or you can shape into any shapes that you like. Cook in a heated non-stick fry pan over a medium heat for about 5 to 10 minutes on each side or until cooked to your liking. *To make in oven, you will also need a large baking tray lined with baking paper and an oven running at approximately 200 degrees Celsius or 400 degrees Fahrenheit. Pop the patties into the oven for 15 minutes, then turn them over and give them another 10 minutes or until cooked to your liking.